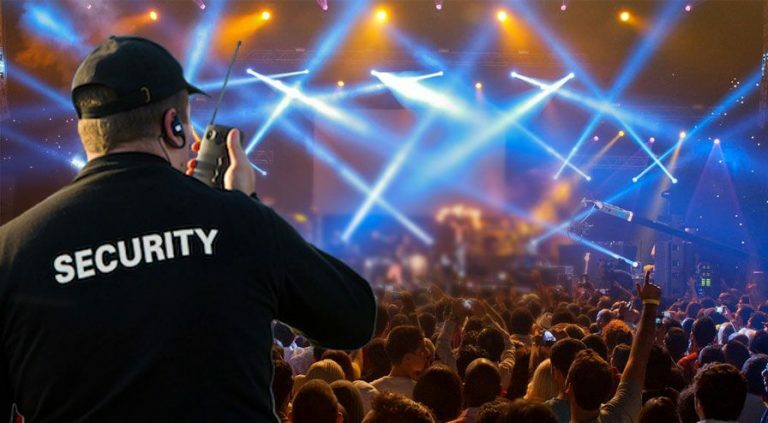 Safety and Security in Events ! Crisis Management in Events ! SAFETY, SECURITY & CRISIS MANAGEMENT in Events ! It is sudden emergency situation which threatens to harm the organisation and its management known as crisis management. According to recent studies, 53% of meeting and event organisers don't have an event-specific crisis management plan in place. The Essential Guide to Safety and Security provides nearly 400 recommendations for safety and security best practices for meeting and events and may be adapted for meetings large or small. The pre-planning phase of event management is about gathering information and intelligence on the event and the venue. During pre-planning, you are conducting a proper risk, vulnerability and threat analysis, remembering that each event is unique and requires its own assessment. What are the potential vulnerabilities of the space and/or the event, itself ? Where is your information about these vulnerabilities coming from? Most event organisers will hire a professional security firm to provide services prior to and during their event. The security firm should be responsible for providing an adequate number of qualified security personnel. If staffing questions arise, it may be prudent to obtain the opinion of your local law enforcement agency to assure adequate resources are being deployed. In estimating the number of security personnel needed for a special event, it is always best to err on the side of having too many rather than not having enough. A significant show of force can often deter problems before they begin or calm dangerous disturbances. It is important to keep the following concerns in mind when selecting a security services. Crowd control practices are critical to the success of your event for comfort and safety. Inadequate controls could lead to injuries from slips, trips and falls, altercations, children being separated from their parents and patrons being injured by the crowd. Consideration needs to be given to paths of travel for access to and egress from the event. It should also be given to how patrons will move from one activity to another during the event. One way traffic patterns and temporarily stopping opposing foot traffic are often helpful. Access, egress and travel paths should be well delineated, smooth, and free of trip/slip hazards. Fencing, barricades, ropes, or uniformed security staff may be helpful in delineating travel paths. These practices should also be employed to keep patrons from travelling through areas that present hazards such as uneven ground, traffic, equipment or other concerns. In developing security plans for major special events, all transportation modes that may have an impact on the security of the venue need to be reviewed. Working with transportation officials, traffic engineering, fire/EMS, and others, decision may be made to close streets, re-route traffic patterns, close transit stops, and the like for security purposes. Transportation / Traffic In developing security plans for major special events, all transportation modes that may have an impact on the security of the venue need to be reviewed. Working with transportation officials, traffic engineering, fire/EMS, and others, decision may be made to close streets, re-route traffic patterns, close transit stops, and the like for security purposes. The use of security video cameras has increased at special events because Cameras can double as logistical and security tools as well as an aid in claim defence. Staff can monitor the cameras to detect and record attempted security breaches and also to observe the movements of dignitaries, performers, or speakers to ensure the timing of events. Security personnel can also use video cameras to identify someone who commits a crime (spectator, protester) and arrest them later when it might cause less of a disruptive scene. Digital videos store and search long after the event. In addition to using video cameras, many law enforcement agencies position officers on rooftops or other high vantage points to observe crowd behaviour during special events. Fire and emergency medical services (EMS) play a critical role in supporting security and public safety at special events. Additionally, hospital medical care must be adequately available if needed. Fire and EMS agencies will have specific needs at the event, such as stand-by and staging areas for fire apparatus, ambulances, and special operations vehicles (such as hazmat vehicles); access to critical infrastructure, e.g., sprinkler connections, fire hydrants, utility panels; and entry and egress routes for emergency vehicles. Hospitals should also be integrated into the overall security plan so they have critical information on anticipated threats and estimated numbers of attendees. Public health agencies should be included in planning sessions to assist them in preparation for potential hazmat/WMD situations that may impact the community. Special event security plans need detailed procedures for dealing with improvised explosive device (IED) threats and suspicious packages (which may include unattended items). Most law enforcement and fire/EMS agencies already have such protocols. IED threats directed at special events often occur by telephone; sometimes by mail. Telephone operators involved in the event should receive training on protocols for talking to the caller (e.g., obtain information on exact location of bomb, timing for detonation, record the conversation, pay attention to background noises, etc.) and notifying the designated security plan incident commander. Care must be taken not to turn the incident into a panic situation. Severe weather such as wind storms, heat waves, tornadoes, rain, hail, or : lightning can dramatically impact outdoor events. High winds and lightning can be deadly. Procedures need to be in place to monitor the weather and implement protective actions as necessary. A command structure must be in place that allows key individuals to decide when an event should be suspended and when emergency procedures such as evacuating to shelters or other protected areas are necessary. Access to adequate protective structures is also important. This phase includes thinking about technology that can be used to help combat your biggest risks as well as the type of training your staff needs to ensure they are best able to protect attendees and the venue. Additionally, this phase is where you plan how you will work with local officials in the event of an emergency. Are the risks you've identified addressed with people, policy, technology or all three? When facing the more daunting questions that don't always have a clear solution, it's important to remember that today's security technology is impressive and more advanced than at any other time in our history. For example, cameras are now far less expensive than in years past as well as being remote controlled and portable, and some even come with facial recognition capabilities, license plate readers and the ability to see in the dark. Advanced access control and ticketing technology is another security technology frontier transforming the industry, not only giving you greater control over who can enter and re-enter but also greater fidelity identifying contraband and weapons. This type of technology helps you to eliminate human error, even with the most seasoned security staff on hand. The technology potentially having the largest impact on event security, and certainly on our lives, is social media. Social media has become an imperative issue point for security professionals and one that can't be disregarded during any phase of event security planning. It is the largest spoken language in the world, with an excess of 1 billion public posts made worldwide every day. It is the go-to communication tool for sharing thoughts, pictures and videos in real-time throughout people's days, evenings and, of course, the events that security professionals have been charged with protecting. So how do you leverage this information to help keep event attendees (and staff) safe? Only the technology is not enough for security of a event, so one of the most important aspects of risk mitigation and security planning is staffing. Whether you in-source or out-source, furthermore you'll need to recruit a team with the right skills, attitudes and knowledge to ensure a successful security operation. Your security staff will need to know a plethora of things from who they report to through their post assignments, to where the operations centre and command post is located. In some instances, they may require additional, specialised training such as walk-through or handheld metal detectors, X-ray inspection equipment or cameras. A trained and educated staff can truly make all the difference, but it is important to remember that if the size of the venue creates significant challenges for sheer volume of staff, your organisation may need to use other security systems and technology as a force multiplier. Finally, if you're not including local public safety officials (police, fire, EMS) as part of your event staff, you need to ask how you are addressing communication needs both in the field and in the command post. Are you deploying two-way radios, mobile phones, satellite phones, etc.? Are fire and rescue teams on standby or on-site? It is important to think through these matters before the event and have and resources identified and/or staged well in advance. The big day has arrived and it's time to put plans into action. Through the pre-planning phase, you've identified risks, vulnerabilities and hazards. In the planning phase, you've organised mitigation strategies for these risks, vulnerabilities and hazards that may combine human resources with technology. You're organised in the command post, and have communicated and/or conducted a safety briefing for all attendees. You are now ready to tackle what's coming at you during the event and to respond with confidence. Assuming all went as planned, or as close to plan as possible, the recovery or review phase is a time to ask the question, “What will we do different next time?" Regardless of significant issues that may have arisen, this part of the event management process is always about learning forward and not blaming in reverse. Pulling together the team and debriefing each aspect of the plan is an important step to understand what was more or less effective for the event and/or the venue.